Butterflies are a timeless symbol of beauty and serenity, with their sweet graceful fluttering is enjoyed by people around the globe. But to “non-people,” or hungry animals, they are more often a source of food. 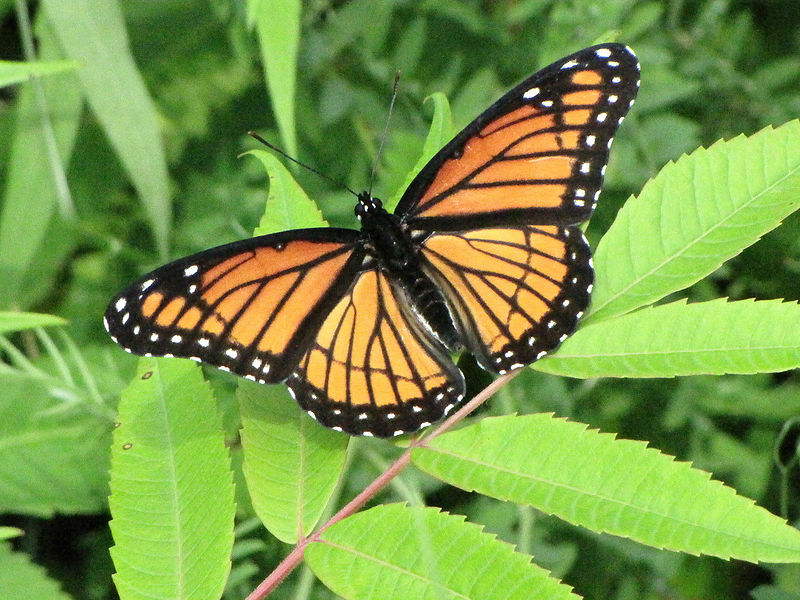 Butterflies have almost no chance against birds and other faster predators. They tend to be slow flyers and many have vibrant colors that stand out in contrast to the flowers they choose to collect nectar from. So why have they not succumbed to the pressures of natural selection? They are much tougher than they appear. 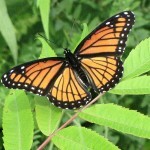 Butterflies have three dominant defense mechanisms that have kept them safe for approximately 50 million years (the earliest butterfly fossil dated back to the Eocene Epoch): camouflage (they blend in with their environment, some even look like flowers), “warning” coloration (bright colors that indicate to predators that the butterfly is poisonous or has a fowl taste), and mimicry, which involves non-poisonous, non-fowl tasting butterflies that imitate genuine warning coloration. 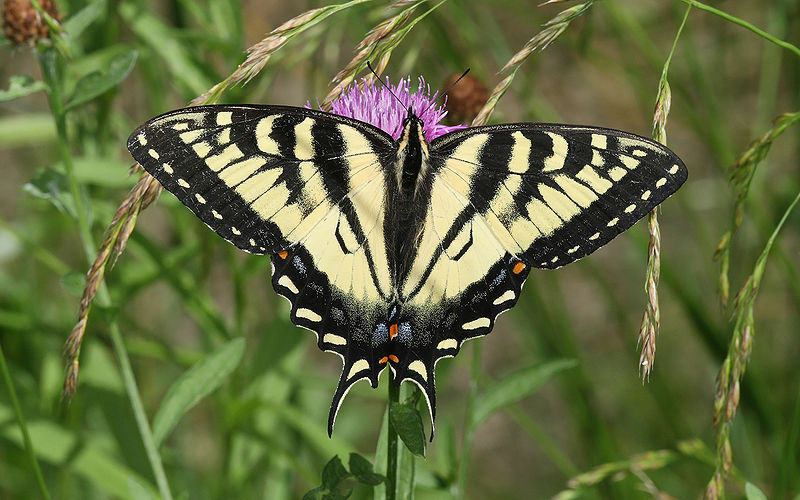 Recent studies have shed light on the relationship between warning coloration and mimicry. Originally, mimicry was thought to only be beneficial to the “copy” organism because predators would have to eat more of the distasteful or poisonous butterflies to learn to stay away. A behavioral study conducted in Liverpool put this theory to the test. An experiment was conducted to use artificial “butterflies” filled with food (some were tainted with a fowl tasting non-toxic chemical, some less fowl and some not tainted). The birds preyed upon both nasty-tasting and normal alike, until they learned to give up both species altogether to avoid mistakenly eating bad tasting specimens. 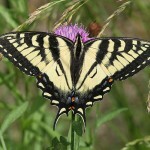 This indicated that the warning coloration was beneficial to both the poisonous butterflies and their mimics. So how do these mimics get their similar characteristics? If they can’t paint themselves, how do they copy their nasty-tasting cousins? Recent studies on the genetics behind these colorful traits shine new light on this evolutionary puzzle. Genetic conservation is the key. Many of the genes we have are conserved from past generations and related species. In this case, the genes responsible for making a fruit fly’s eyes red have evolved to produce the red wing patterns in the Heliconius butterflies from South and Central America and many other varieties of passion vine butterfly species. [2,3] In other words, changes in a single gene, called “optix,” which makes the red pigment, can result in changes in gene expression. 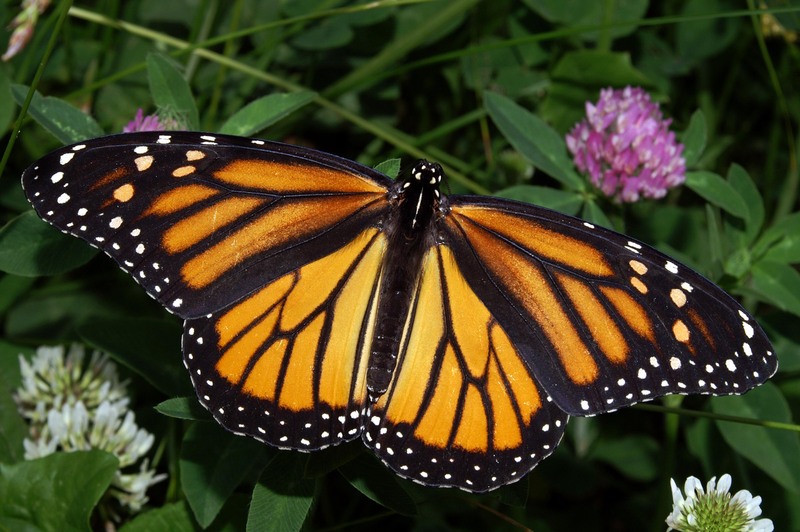 This gene is conserved and drives wing pattern evolution across remotely related butterflies. It has always been challenging explain how convergent evolution actually happens and it has been a bit of a mystery for a long time. But by studying the genetics of an organism we have a better understanding that genes are conserved across all living organisms. Just a little tweak here and a tweak there and you can change a feature or a function. DNA has revealed to us an interesting reality. Nature seeks not to re-invent, but to alter and re-use what is already there. 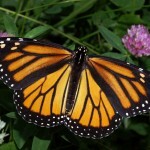 The Monarch is considered unpalatable to predators and the Viceroy is also toxic but more tolerable. Can you tell the difference? If you were the predator, which one would you eat? All pictures were found on Wikipedia. Print article This entry was posted by Elna Carrasco on November 8, 2011 at 6:01 pm, and is filed under DNA Interactive. Follow any responses to this post through RSS 2.0. You can leave a response or trackback from your own site.